The Lups are on the way home from grocery shopping when they encounter some kids playing basketball. Kairi is reminded of his older brother again. Back at Jurer, Good Striker flies in, crying that Noel is in trouble. He explains that Noel is at Aresene Lupin’s secret hiding place where it is said that his greatest piece, the Lupin Magnum, is hidden. Noel has been searching for it a long time, but fell into a trap. Down in the underworld, Dogranio, Goche and Destra are talking about “gun maniac” Kerbero being on the move. Destra explains to Destra that human guns aren’t useful, but they are lots of fun. Dogranio believes Kerbero has a plan. Meanwhile, the Lups have gone to the location of Lupin’s hiding place. Good Striker gets caught up in a rolling boulder after realizing the booby traps are different from the first time he’s been here. The Pats find Kerbero as he has stolen more guns from a museum. They morph and take him on. But Kerbero can control the ground and the oxygen to give his firearms more power. His shoulder dog suddenly starts barking and Kerbero leaves to follow the scent. The Pats follow. The Pats are fighting off different types of bobby traps until they reach a cavernous room where they find Lupin Magnum and an unconscious Noel. Suddenly, Lupin Magnum glows and the Lups seem to be transported back in time. Umika meets Shiho in a shop, Tooma is with Aya at home cooking and Kairi is with his brother on a basketball court. Shiho tells Umika not to burden herself and not to give up on her own dreams just for her. Umika says she isn’t giving up her dreams, but saving Shiho is most important right now. Aya tells Tooma that risking his life for her will make her sad. Tooma says he’s not doing it for her, but for himself. Kairi says he won’t be fooled by this illusion and shoots at the basket with his blaster. Good Striker wakes Noel up and realizes they too got caught in the trap. The Lups try shooting at the walls, but the illusions are not breaking. Their loved ones continue to try and get the Lups to give up on them. They hold open their arms, asking the Lups to shoot them. They realize that’s what the message from the walls meant. But the Tooma and Umika can’t shoot at them, even if they are illusions. The loved ones disappear, as does the illusion. But they are suddenly shot with arrows and they fall unconscious. Thinking about the message on the walls, Noel remarks that sometimes the precious things they want back are the things that hold them back. He knows Tooma and Umika couldn’t shoot either, like he couldn’t. Kairi points his blaster at his brother who tells him not to walk down this dark path just for him, but to walk a path of light. Kairi remembers Keiichiro telling him that the Lups walked down the wrong path as soon as they decided to become kaitous. 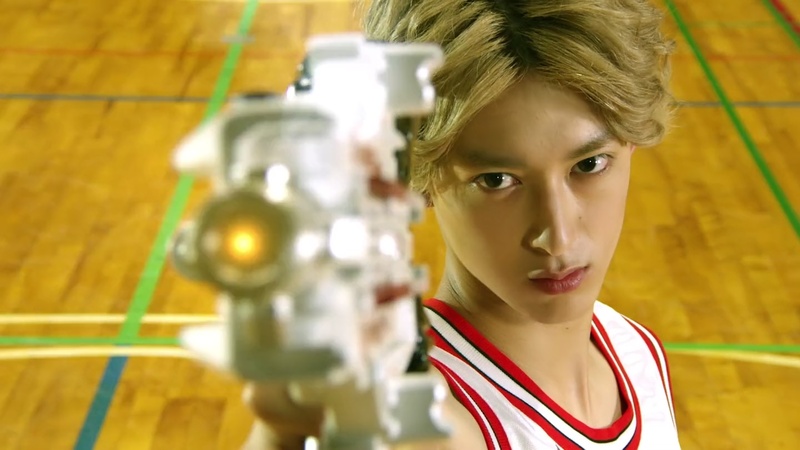 Kairi puts his blaster away and picks up the basketball. He says he’s figured it out. Instead of trying to follow his brother’s footsteps, he has decided to walk down the path of a kaitou. No matter how his brother sees him, Kairi will save him his way. Kairi shoots his brother and the box around Lupin Magnum breaks away. Umika and Tooma wake up as Kairi approaches Lupin Magnum. 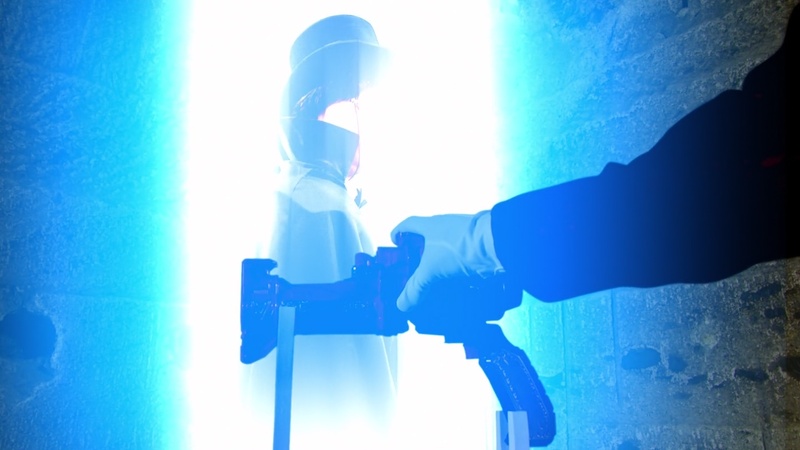 He touches it and Arsene Lupin appears, commending Kairi on choosing the path of a kaitou. Which is why Arsene Lupin entrusts the Lupin Magnum to him. The cave suddenly begins to collapse so the Lups hurry out. 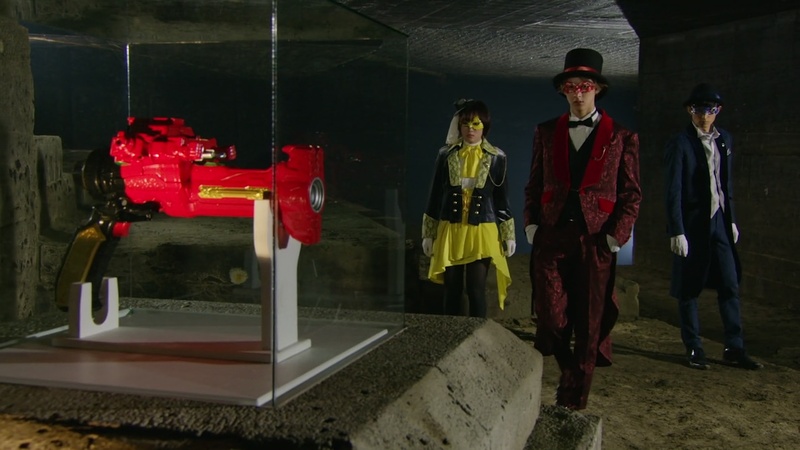 They are able to exit the caves with Kerbero right outside, having sniffed out the kawaii Lupin Magnum. Kerbero demands they hand it over. But the Lups morph. They fight off Podamans while Kairi faces off against Kerbero himself. The Pats arrive and watch. 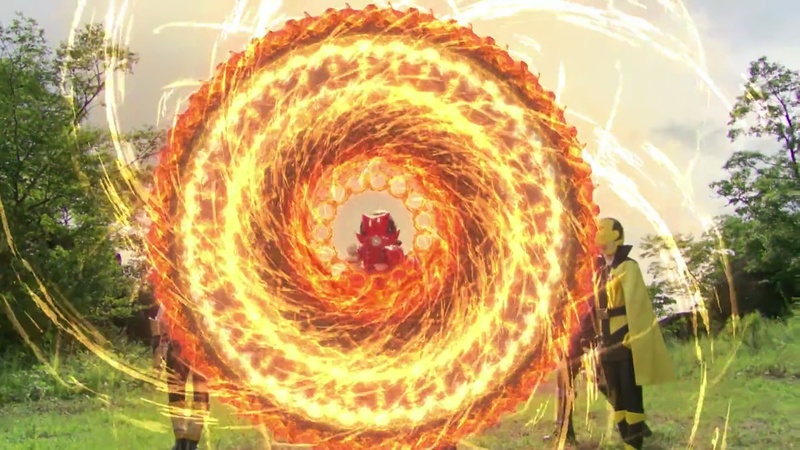 Kairi uses Lupin Magnum and the shot is able to bust through solid rock. Kairi continues to break through all the stone walls and Tooma is able to grab the Tensouder, I mean, Collection Piece from Kerbero’s safe. Kairi combines his VS Changer and the Lupin Magnum and shoots a huge Super Strike at Kerbero to finish off his first life. Destra arrives to embiggen Kerbero and the Lups hop into LupinKaiser and X Emperor Slash then X Emperor Gunner. They then upgattai to LupinKaiser Splash Magic. The Lups are able to finish Kerbero off with Kairi delivering a Lupin Fever Swindle Super Strike attack using Lupin Magnum. Back at Jurer, Kogure says Kairi can keep Lupin Magnum for now. Umika wants to touch it. Tooma comments to Noel that he too failed at the final trap. Outside, Kogure remarks that he never imagined Kairi would be that good to be able to obtain Lupin Magnum. He cackles as he walks away. But I’ve become very cynical about the season by now. And so the scenes of the Lups with their loved ones did nothing for me. And it’s not like we saw anything new about their interactions through the illusion. It was kind of a typical “illusion” episode. We even already got one of these earlier this season. But the point was Kairi’s decision to not try and emulate his big brother, but to go down his own path. He still wants to save his brother and bring him back to life. And he’ll do it in the way he thinks is best, even if it means being a thief. That’s what he believes will take him forward. That obviously sits very well with Arsene Lupin so of course Kairi gets the big gun. The Pats were basically invisible this episode. 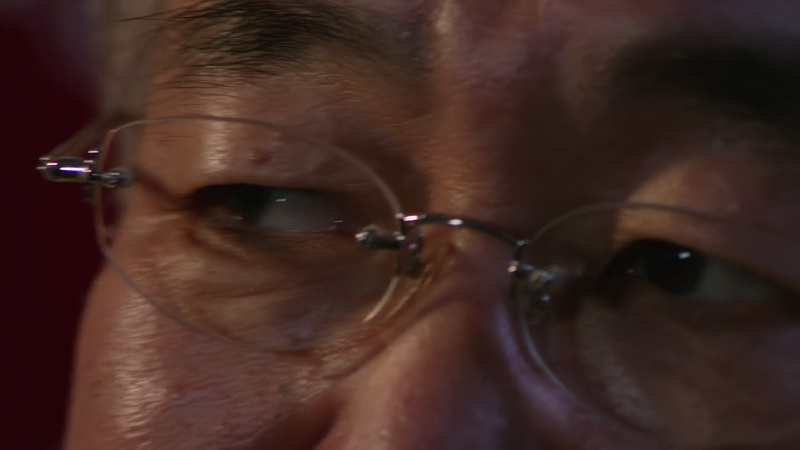 So the most interesting things to come out of this episode were the continued teasing of Noel and Kogure’s secrets. For Noel, we know he seems to have someone he wants to save as well. Who that might be, we don’t know. But we know after this episode that he wasn’t able to “unshackle” himself from that loved one either like Tooma and Umika. But also, we know that his situation should still be slightly different from the Lups. Otherwise, why all this secrecy, right? And for Kogure, we already know he’s got some big secret as well. Again, I really hope it throws the Lups over for a loop. Something that completely pulls the rug right out from under them. I think Noel might be aware or even know about all of Kogure’s secret. So it would only have to shock Kairi, Tooma and Umika. 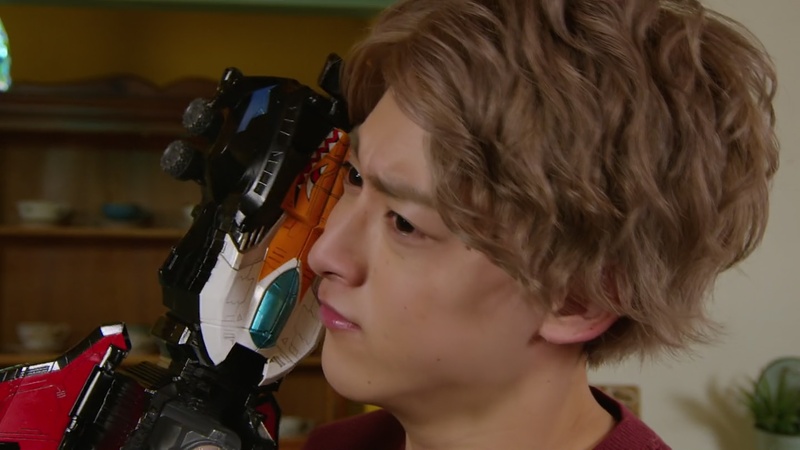 But I think we can safely say whatever Kogure’s endgame is, it is separate and different from the Lups. And I hope it is a big payoff. And where’s Zamigo for goodness sakes?! 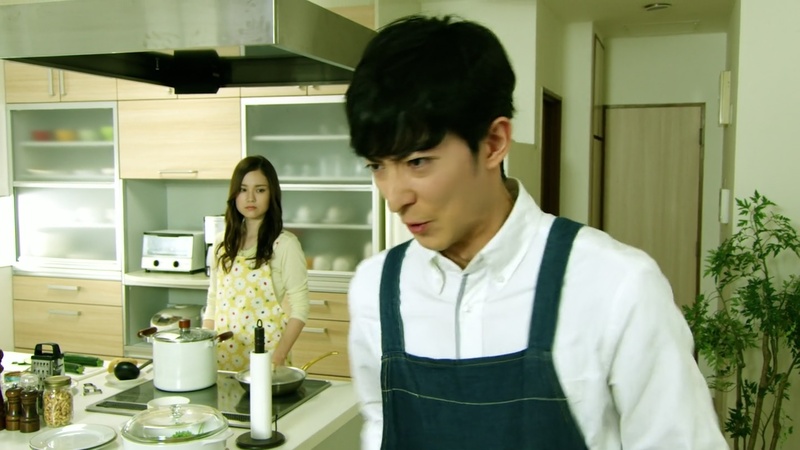 This Episode Is pretty much confirm that kairi,Touma and Umika was choosen to become Lupinranger not random. 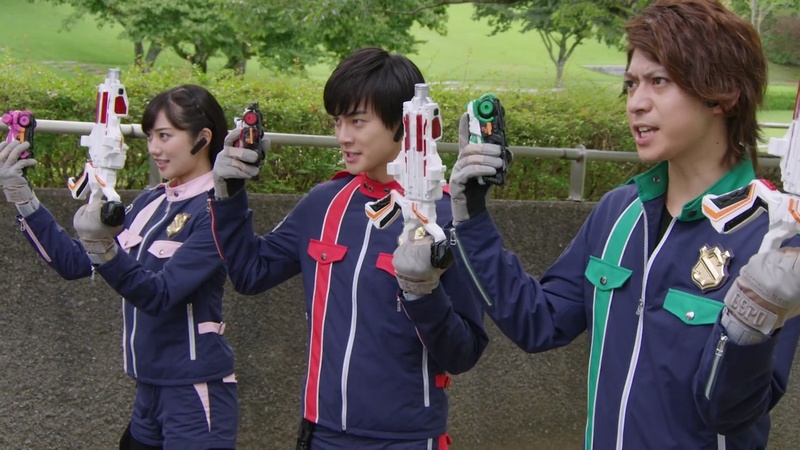 This Episode kind of confirm that kairi,touma and umika was choosen to become lupinranger not random. about kairi i’m not surprise if he start go more dark since he have problem with his brother unlike Touka and Umika. at the end ep 30 he not quite happy/confuse about that keiichiro trust him to help city and in the beginning of this episode he kind of interest Lupin Magnum than Help Noel. Remember Gochu’s Binocular in ep 8 ? (that Noel freaking out) she see good part and bad part inside him and wonder about other two. It would be interesting to see if Kairi goes dark side. That would make things interesting for them. Interesting about Ep 8, I have to go back to see that again I think. EP. 37 Summay description that he is truly fighting alone and has no home to return to and fail to get collection.